1. Giant vegetables. You won't see veg like this at your local supermarket. 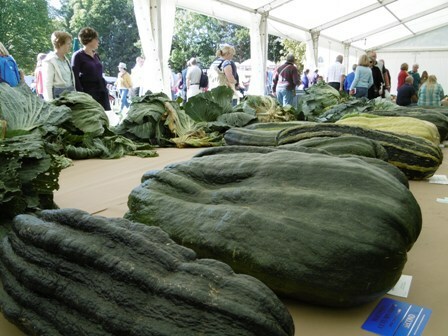 At the UK Giant Vegetables Championship you'll marvel at mighty marrows, colossal carrots and big beetroot. And wait until you view the pumpkins! Once seen, never forgotten! 2. Family fun area. Newly introduced for 2016, the dedicated family fun area will be overflowing with an abundance of activities for children, including garden games, circus skills and 'make-and-take' craft activities. Adults can unwind in chill-out bean bag space. 3. The Autumn Theatre. This will be a hive of activity and inspiration with sessions from world class experts, including BBC Gardeners' World presenter Carol Klein. Talks, demonstrations and workshops will make you want to get into the garden and grow your next meal! 4. The World of Animals. Get up close with furry friends, including dogs, goats, sheep, ponies and pigs. Heavy Horse demonstrations will take place throughout the weekend and there's a new feature for 2016, the Young Pig of the Year competition. Sunday also welcomes the Ryeland Lamb Championships. 5. Anton Du Beke and the Vintage Village. 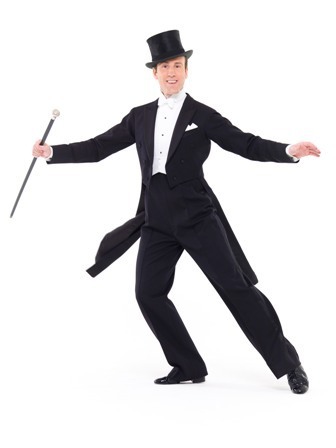 On Sunday BBC Strictly Come Dancing's Anton Du Beke will offer top tips on how to become a dance flirt of the 40s and 50s in the Vintage Village which also features classic Old Tyme fairground rides dating from the 1900s, including a carousel, helter skelter and ferris wheel. 6. The Forgotten Skills Marquee. Using traditional techniques and demonstrations visitors will see the trades of yesteryear in front of their eyes. 7. The Activity Arena. 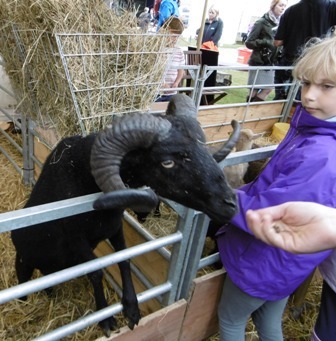 Loads of show-stopping displays, including duck herding, gundog displays and dog agility. You won't want to miss Meirion Owen's Quack Pack which features Indian Runner ducks and a team of border collies. 8. Discover Harvest. An interactive feast of fun to engage children in the bountiful harvest season. Expect displays and hands-on craft activities to celebrate this wonderful time of year. 9. The Cookery Theatre. 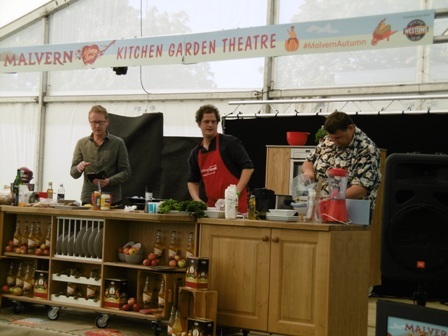 Hosted by Otter Farm's Mark Diacono, the Cookery Theatre will welcome a top line-up of culinary talent, including Tom Kerridge and reigning champion of BBC MasterChef: The Professionals and head chef of nearby Eckington Manor, Mark Stinchcombe. Educational children's character, Henri Le Worm, will also join the action with child friendly workshops on cookery and gardening. 10. Shopping. 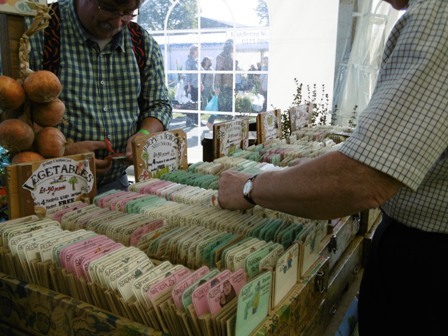 Stalls galore will cater for all shopping needs, from bargain seeds and bulbs to garden machinery and kitchen gadgets. Autumn plants will be supplied by the many plant nurseries on-site and there will be fresh produce available to buy and take away. 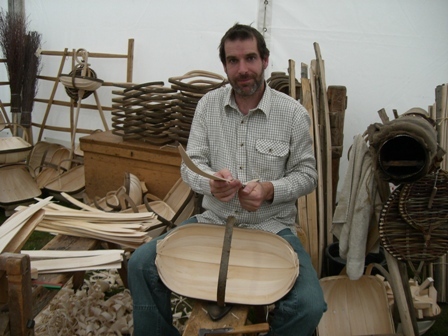 Ken Nottage, CEO of Three Counties, says: "Malvern Autumn Show is a wonderful day out for all the family and our 2016 line-up promises to showcase all the amazing things autumn has to offer. 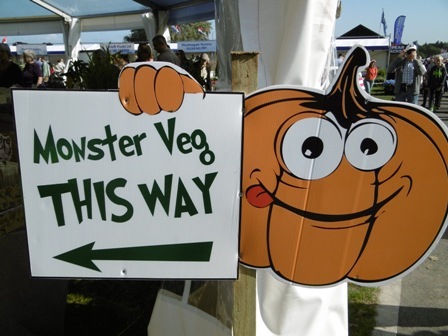 Across the weekend, the showground will be awash with activities for little ones and grown-ups to immerse themselves in – from our fantastic headliners, Tom Kerridge and Anton Du Beke, to the Giant Vegetable Championships and much much more. 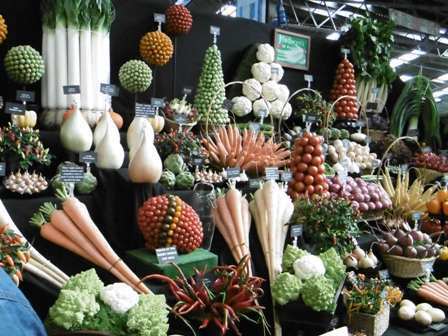 There really is something for everyone and we cannot wait to throw open the gates and welcome our many visitors to another marvellous year of Malvern Autumn Show." Cost: Family tickets (2 adults, 3 children aged 5 - 15 years): £37 in advance/ £45 on the gate. Individual advanced tickets are £16 for adults/ £5 for children On the gate at £19 for adults/ £7 for children. Number 5 sounds like a good reason. I love the look of the giant veg. Will have to go and see those.